Kids love to build. Think about how many youngsters you’ve seen constructing virtual cities out of a bag of interlocking blocks and you’ll have a good idea about how much kids like to construct things using their own ingenuity. For kids who really like to put their minds to work, consider buying them an erector or building kit to create a fun and educational project that will keep them entertained for hours. They’ll be so proud of their achievement once they complete their project that they will want to keep learning and making their own toys – and that’s simply great for their development. 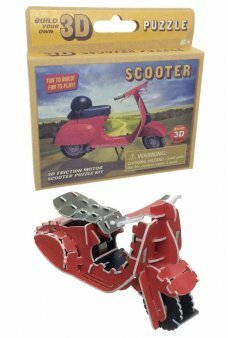 Order a scientific or technology-based toy today and watch as your kids become enthralled with their creations! Make and fly a real gas powered rocket! 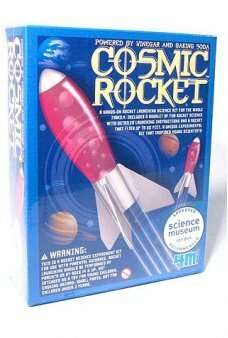 Our Cosmic Rocket Kit contains everything you need to build and blast a fast roc..
Make a real working robot that can really draw artwork! 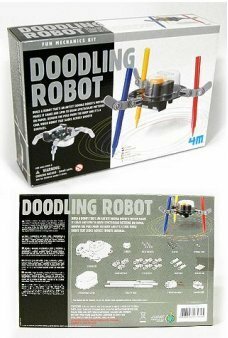 Our Doodling Robot Kit contains everything you need to build a ..
Make a real working robot! 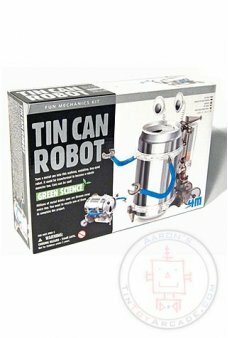 Our Technorobot Kit contains everything you need to build a mechanical moving robot. The Tech.. Yes, you can be a Rocket Scientist! 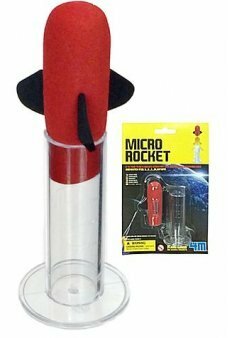 Make and shoot a real chemical powered rocket with the Micro Rocket Kit ..
A real radical gun that launches paper airplanes! Our Paper Airplane Shooter Gun contains everything you need to fold an.. 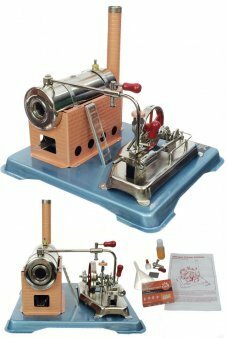 Explore classic steam powered mechanics with Jensen's largest and most powerful Hobby Steam Engine! High quality, ..
Make a real working model of a motorcycle engine with the Haynes Motorcycle Engine Kit. Our kit contains everythin.. 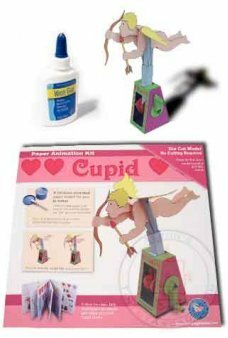 Turn the handle and Cupid flaps his wings and flies. Easy to make craft project, just popout, fold and glue together. We.. 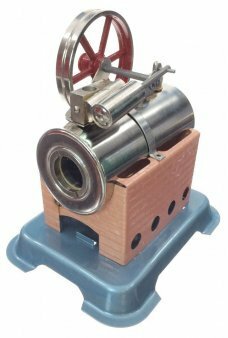 Build your own working steam engine! This kit includes all of the metal parts to make Jensen's largest and most powerful.. 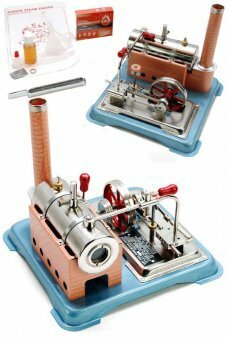 Operate a real, working steam engine! This pre-assembled engine includes all of accessories to run Jensen's fastest and .. 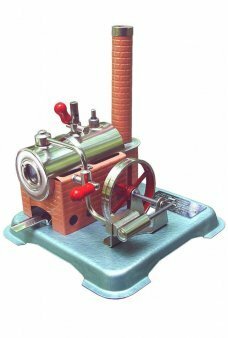 Operate a real, working steam engine! This pre-assembled engine includes all of accessories to run Jensen's full-feature..
You can build our red Retro Car that really works! Wind up your 1970's econobox car and it rolls away. 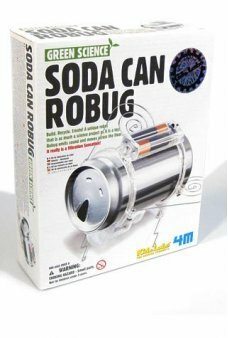 Our Retro Car kit..
Make a storm in a recycled bottle with our Tornado Maker Kit! 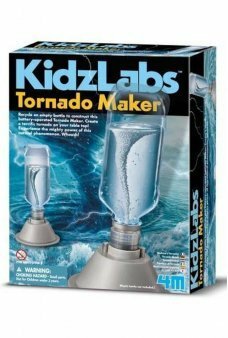 Construct a battery-operated tabletop tornado with our com.. 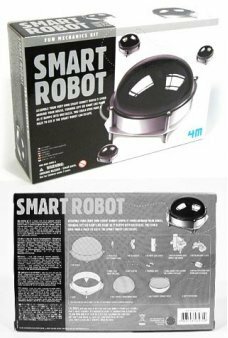 Build a gravity-defying Balancing Robot! 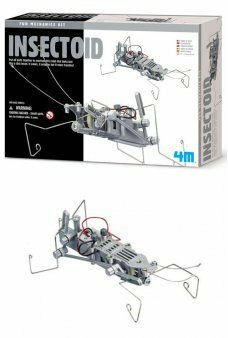 Our KIdzlab Balancing Robot Kit contains everything you need to build a unique ..
Make a real robot Insect with our detailed Insectoid Kit! Easily construct a battery-operated creepy crawling bug with a..
Make and race 2 real balloon powered robots! 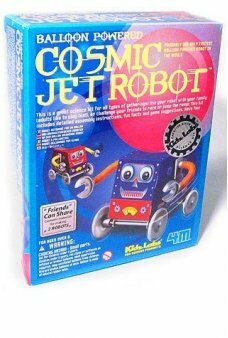 Our Cosmic Jet Robot Kit contains everything you need to build two fast rob.. Build and Fly this real Bi-Plane Toy. With a massive wingspan our real-flying airplane kit includes two foam wings..